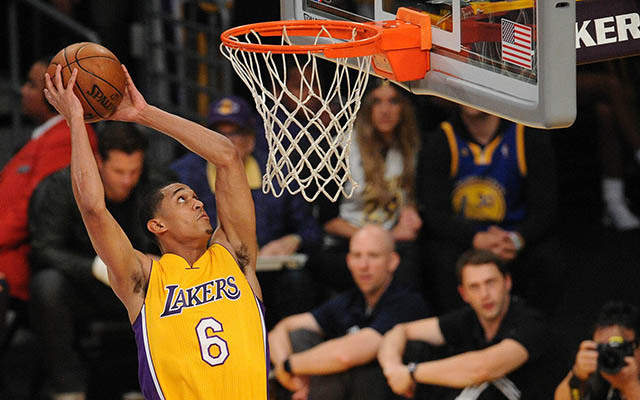 Jordan Clarkson joined the Los Angeles Lakers team for the 2014 NBA Summer League. Fast forward, two years later Clarkson is still on the Lakers team and is very certain of his intention. Jordan Clarkson is one of the most intriguing restricted free agents on the market this summer. He’s versatile, a good scorer and always improving. However, coach Bryon Scott scrutinizes Clarkson quite much! In his post-season exit interviews with the Lakers, coach Byron Scott told Clarkson that if he doesn't improve defensively, he won't play next season if he returns to the team. When Clarkson was asked about his desire to stay in Los Angeles, Jordan had it very clear to the Los Angeles Daily News. And guess what Clarkson’s even found a street named after him in Los Angeles.